When you contact ABC-Pediatrics for the first time, we will review your information and contact you and schedule an interview. If you decide to enroll your child we will guide you through the enrollment/ intake process. We encourage you to discuss your concerns and we provide solutions using our one on one therapies. We will answer any questions you may have about the evaluation and treatment plan process. 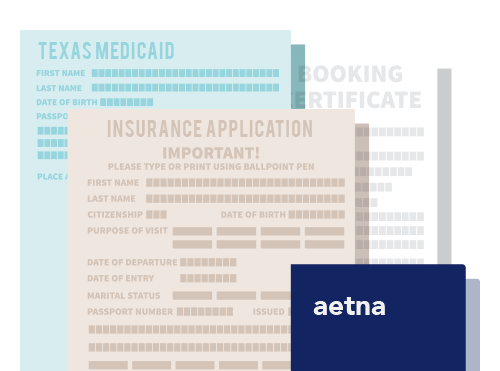 Insurance can be confusing and complicated. After verifying your child’s current insurance information, we will help you navigate through the complex insurance and billing process. If you decide to enroll your child with ABC-Pediatrics we will continue to assist you with insurance process so that it becomes seamless. We are extremely proud of our therapy programs and enjoy touring families. If you have a child who would benefit from our services, please contact us at the phone number or website below. We will contact you and discuss verification of insurance benefits and then schedule an appointment. We believe you will discover our staff have calm, compassionate and positive attitudes that create a warm inviting atmosphere. ABC-Pediatrics is place full of therapists and technicians eager to help children reach their highest level of independence. Children and their families like coming to ABC and we like greeting them, together we make daily life more enjoyable. The initial appointment will begin with a brief consultation with the director of programs and our BCBA. This meeting provides an opportunity to express concerns and ask questions. Afterwards we will begin the evaluation process, which includes standardized assessments and observations of the child. Evaluations of the child can be made while the family tours the facility and meets our team. Upon completion of the tour and the evaluation, we develop an initial treatment plan, course of action and discuss with the family for their approval. Once the ABC team and the family agree on the action plan a series of goals are established and scheduled for the first day. Afterwards, regular attendance, honest and open communication with goal achievements will be required to produce the best results for the child. Feedback from the parent and to the parent is fundamental for improvement. Therefore, parent training is vital to the development of the child and the family. We schedule regular monthly meetings for informal family training and conduct quarterly formal family trainings to ensure insure the child, the family and ABC- Pediatrics are all working together. After the first week, our BCBA will work with the therapy team to accommodate the child’s needs and adjust the initial treatment plan as needed. The child will then receive evaluations as prescribed by our occupational, speech and physical therapy team. These evaluations and plan of care will be sent to the primary care physician on file for approval and therapy will begin. Please call or visit the website so that we can schedule time to discuss our therapy process. If possible, please use the contact form on our website, email at info@abc-pediatrics.com or call 972-410-5297. We look forward to exploring the countless way to assist you and your child. 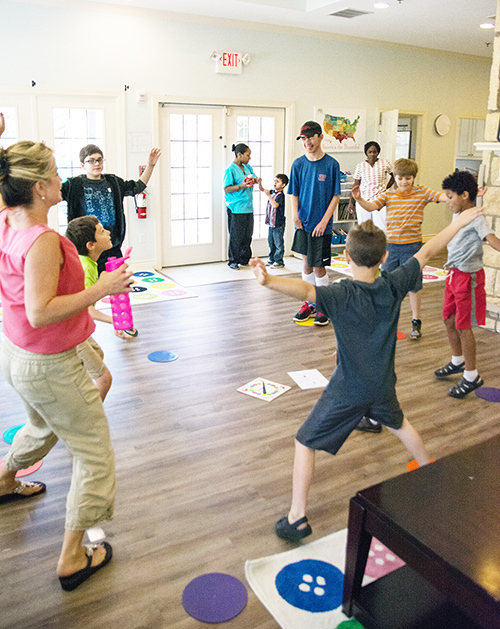 Our school-age day camp serves children with an autism diagnosis and ready for a transition. We offer a community-based program which provides children the opportunity to learn generalized skills for daily situational settings that may include a classroom environment.